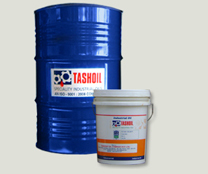 Lubrash Dp – 2 :: Tashoil Company Pvt. Ltd.
Lubrash DP – 2 is a specially formulated for dual purpose oil whose appreciation has been optimized to suit as a Industrial Lubricants as well as neat cutting fluid further to enhance & balance its properties. It has been fortified with both viscosity index improver as well as straight cutting oil additives package so that oil will continue to hold a thin film even under extreme pressure & temperature conditions.